Committees are a great way for you to get involved with the chapter and network with others! Contact the committee chair to learn more. The Education Committee provides regularly scheduled meetings of the general membership with speakers and time allotted for, but not limited to, education, professional development, chapter business and membership dialogue. 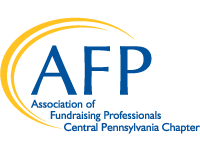 The Membership Committee will strive to increase membership in the chapter by 10 percent in order to receive bonus awarded for every additional new member as stated in the AFP Chapter Incentive Program. The committee also strives to achieve at least one Chapter Growth and Retention Award (as detailed in the Chapter Incentive Program) to be awarded at the Annual International Conference. The Capital Conference Committee is responsible for all aspects of planning and implementing The Capital Conference, an all-day conference filled with engaging speakers and educational opportunities. The Scholarship Committee is pleased to provide scholarships for education and professional development. Scholarships are available to help offset the cost associated with the International Fundraising Conference. Sponsorship Committee secures sponsorships for the monthly meetings and the Capital Conference. Both entail relationship building for the purpose of furthering the mission of AFP, with the end result of enhancing our professional development. The Mentoring/CFRE Committee pairs members in need of coaching or support in a certain area with another member that has a high level of experience in that same area (e.g., starting a development program, planned giving, major gifts, social media, etc.). This committee also pairs members interested in obtaining their CFRE certification with another member that is already certified to help them through the process.